Alter The Press! 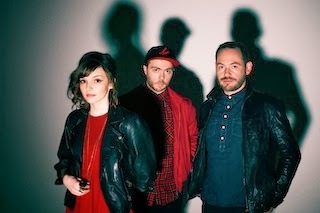 : Lauren Mayberry of CHVRCHES and Bleachers Cover Fleetwood Mac's "Go Your Own Way"
Lauren Mayberry of CHVRCHES and Bleachers Cover Fleetwood Mac's "Go Your Own Way"
Bleachers joined forces with CHVRCHES vocalist Lauren Mayberry last night (November 13th) for an incredible cover of "Go Your Own Way" at the VH1 You Oughta Know concert in New York City. You can watch the pair's rendition of Fleetwood Mac's hit single below.